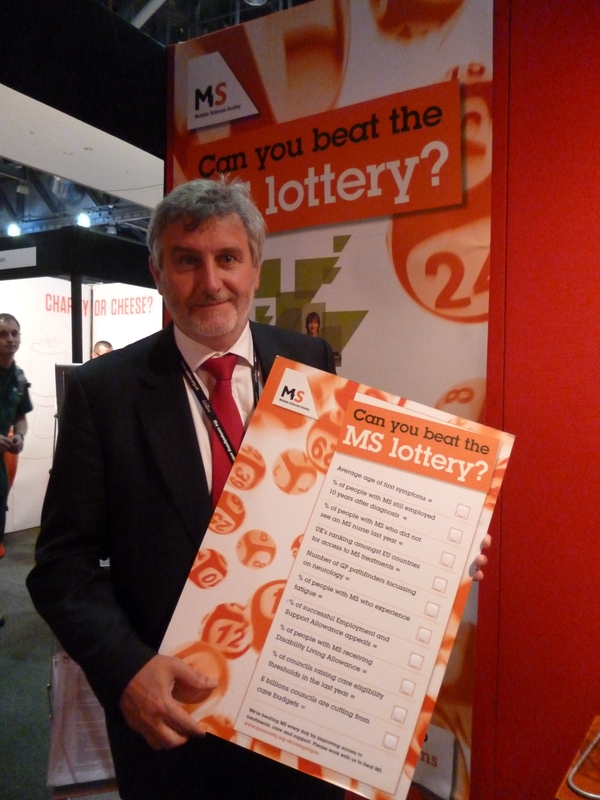 Clive took part in the ‘Can you beat the MS lottery’ challenge at Labour party conference.The interactive challenge, which was designed by the MS Society, tests politicians’ knowledge of multiple sclerosis (MS) by asking them to match numbered lottery balls to a range of statements. MPs are called upon to guess on everything from the UK’s ranking amongst EU countries for access to MS treatments to how much money local councils are cutting from care budgets. Mr Efford is a member of the All-Party Parliamentary Group for MS, a group of MPs and peers who help to make sure that MS issues are high on the government’s agenda. He approached the MS Society after local constituents with MS got in touch. For more information on MS and the support available to those affected by the condition visit the MS Society’s website: http://www.mssociety.org.uk.